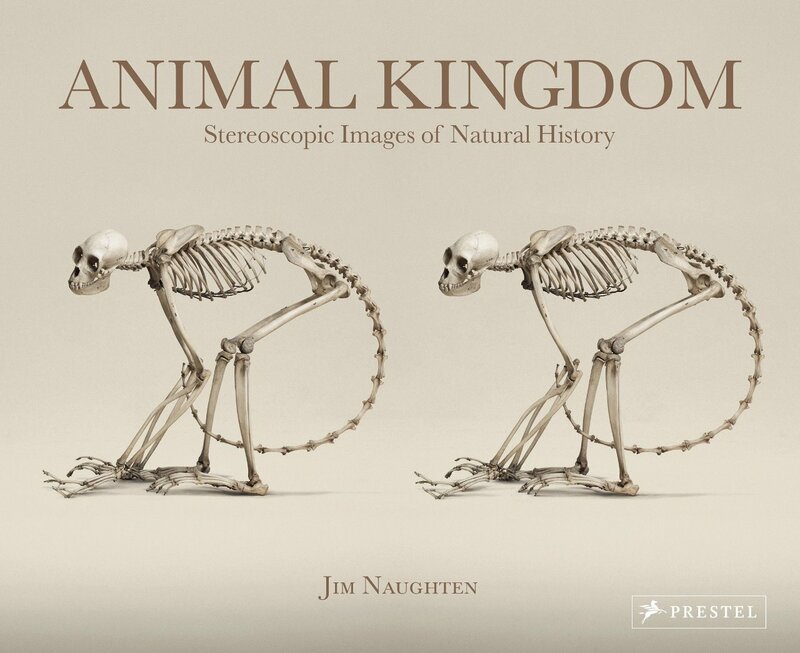 Following his highly successful book, “Animal Kingdom”, Jim Naughten brings to life historic specimens of the human body in this peculiarly enthralling collection of stereoscopic photographs. Historically, stereoscopic photography was widely used in medicine as a teaching aid, so it seems fitting that Jim Naughten’s stereoscopic pictures of human specimens on display at the Vrolik Museum in Amsterdam transform science into art. With over 5,000 immaculately preserved objects, the Vrolik has one of the largest collections of anatomical specimens in the world. Naughten has selected 50 of the most striking examples for this book, including pathological specimens such as skeletons afflicted by rickets and other diseases of the bone; congenital malformations; and dissected heads. Many are photographed in their original wood and glass specimen cases, which lends them a haunting tone. 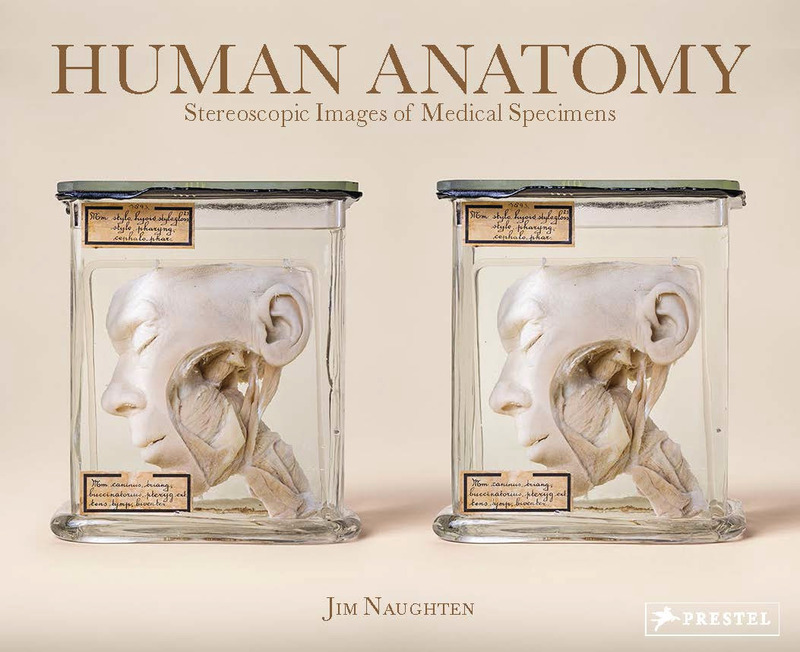 Reproduced with stunning clarity, these transfixing images take the reader on a fascinating journey through the history of the study of anatomy, with the stereoscopic viewer permitting an immersive experience that is not possible with conventional photography. Throughout his life photographer Jim Naughten has been fascinated with the natural world. As a child, he collected fossils he found near his home in Dover. Now a renowned photographer, Naughten has started to experiment with stereography and has turned to his boyhood interest, gaining access to the archives of some of the world's most prestigious natural history museums. This gorgeously produced book contains fifty images of marine life, reptiles, mammals, birds and primates photographed expressly for viewing through a stereoscope, which is included with the book. Stereoscopy was invented in 1839 to study and explain binocular vision. Having two eyes allows humans to determine distance and depth and stereoscopy shows a left- and right-eye view from a slightly different angle, as we see things in day-to-day life. Looking through the stereo viewer, readers will see the specimens as three-dimensional objects. As the images jump off the page, their incredible details become apparent-delicate bat wings, the spiraling skeleton of a python, the almost mythic form of a leafy sea dragon.A foreword by Martin Barnes of the Victoria and Albert Museum, London offers an assessment of the work while essays on the specimens themselves and the history of stereoscopy provide rich background to this photographic technology, and to Naughten's achievement in bringing to life a world that seamlessly melds the past and present.